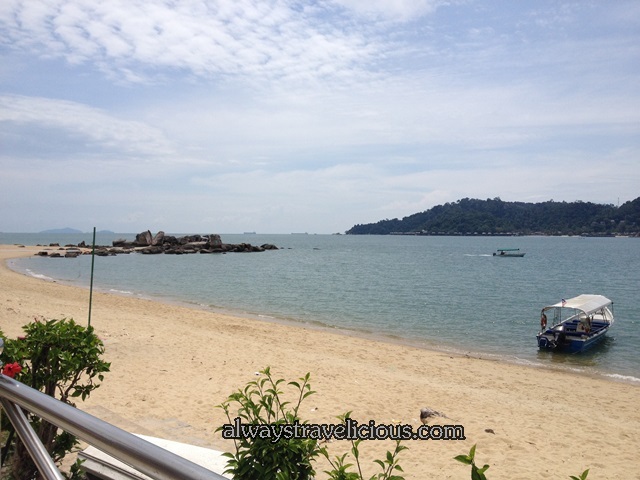 Pangkor Island / Sitiawan Archives - Always Travelicious ! 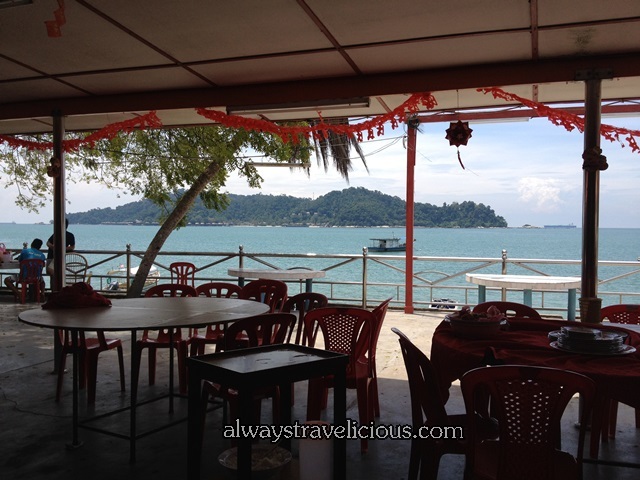 We ate lunch at Sea View Hotel on Pangkor Island as it brings back vague memories from my childhood. Many many years ago, Sea View Hotel was one of the earlier hotels established on the island. If you have traveled to Pangkor say 10, 15 years ago, chances are, you probably have stayed in the hotel before. The hotel’s restaurant – Seaside Restaurant is literally by the sea with a superb view. As we were there around 2pm, a lot of fish dishes were unavailable and we had to resort to something that we don’t normally order – sweet and sour fish. The fish fillet pieces are deep fried – excellent tender fillet with a crispy coating, unfortunately spoiled by the sweet ad sour sauce which tasted completely artificial, as if the sauce came straight out from a chili sauce / tomato sauce bottle. 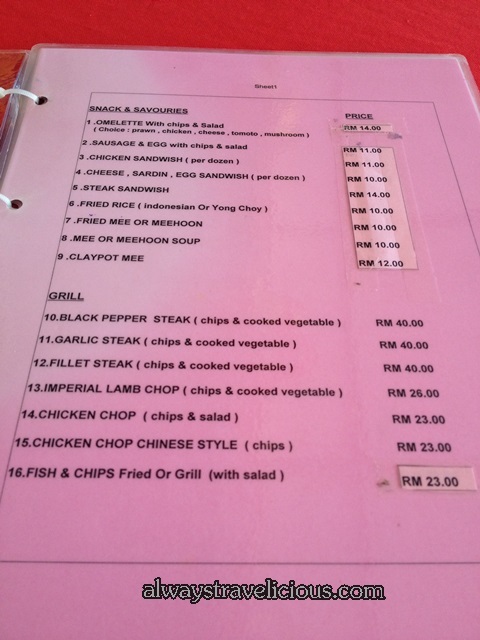 And it’s pricey for a not-very-big-portion at RM 35. The simple vegetable stir fry (RM15) is ok but the oyster sauce is too thick for my liking. 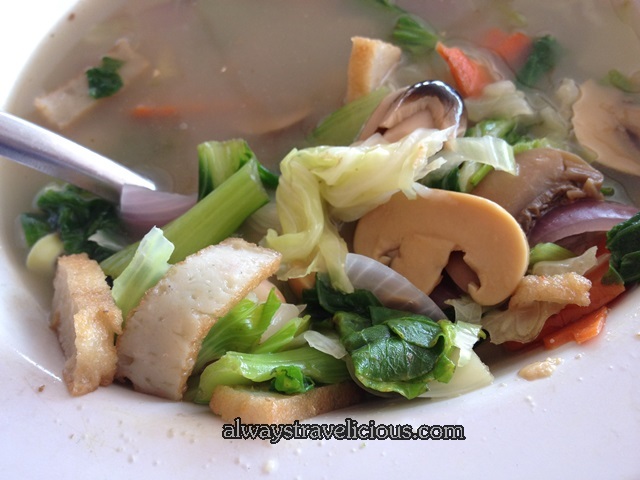 The soup is not too bad, and full of goodies like various kinds of vegetables, mushrooms and fish cake. If you are lucky, you might be able to spot hornbills eating bread docilely off the table nearby. 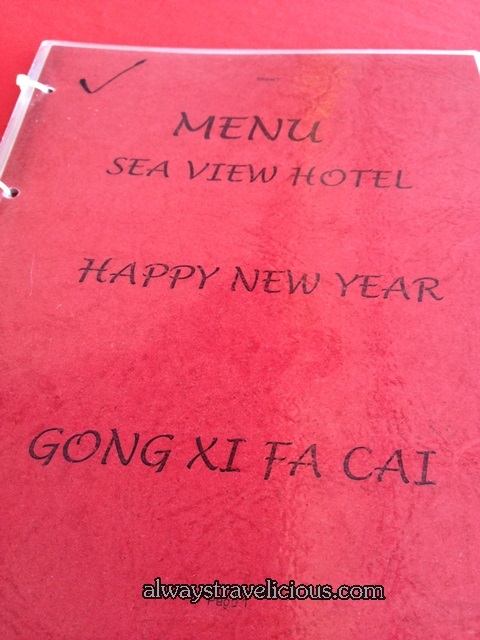 Here’s a few pages from Sea View Hotel’s Restaurant menu. The price seemed to be marked up for during Chinese New Year Period. I am rather disappointed at the pricey & so-so lunch here. I get it that things get marked up during Chinese New year but at least give me better food if you want to mark up the price! I was actually thinking we should be able to get some good & cheap seafood since we are on an island, but no, seafood in Sitiawan is better off. Looks like I gotta look for a good seafood restaurant the next time I am on Pangkor Island.